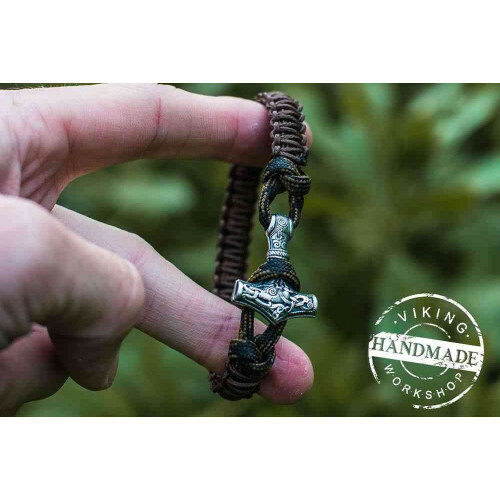 In ancient times, the Nordic people protected themselves from negative energy and evil forces with the help of amulets and charms. 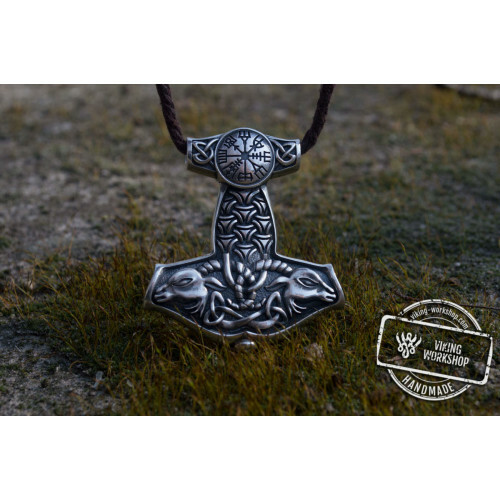 According to legends, the hammer of god Thor protected soldiers in combat, helped in sea travels and was a symbol of fertility. 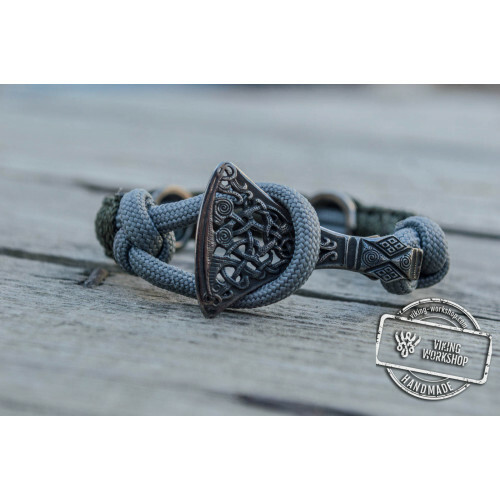 It was worn around the neck or on the arm. 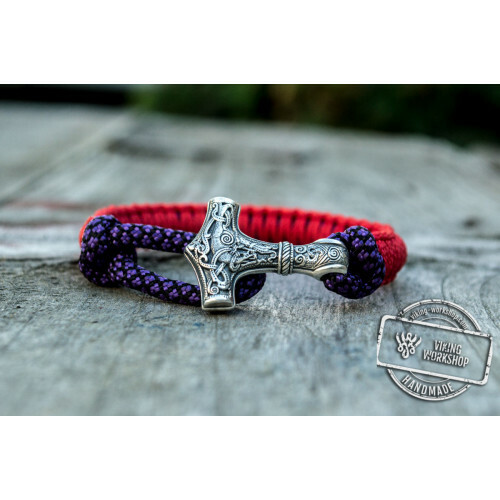 Some men made tattoos with the image of the hammer. 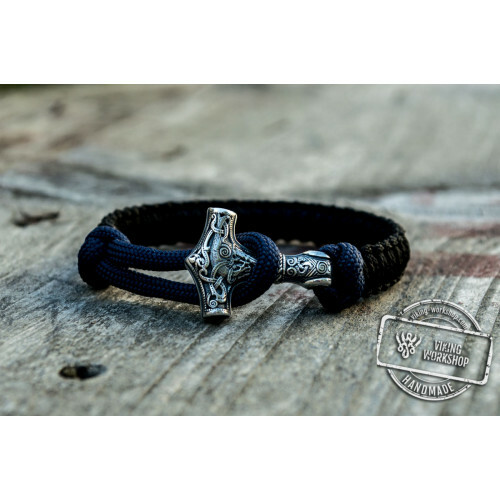 In today's world, people are regularly exposed to stress and negative energy. 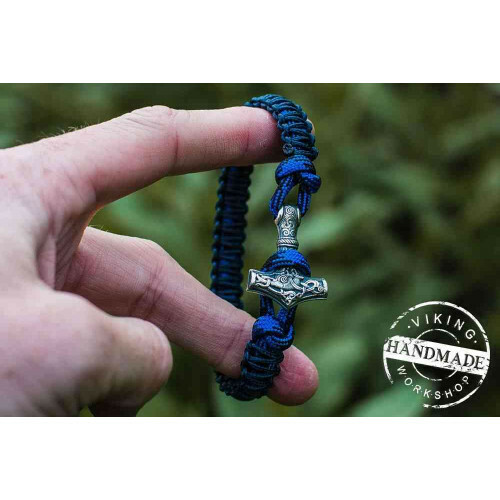 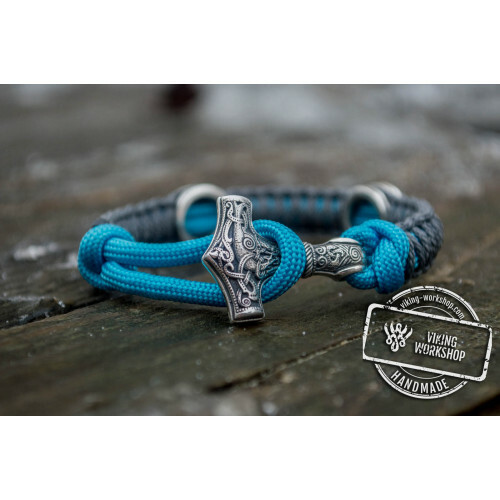 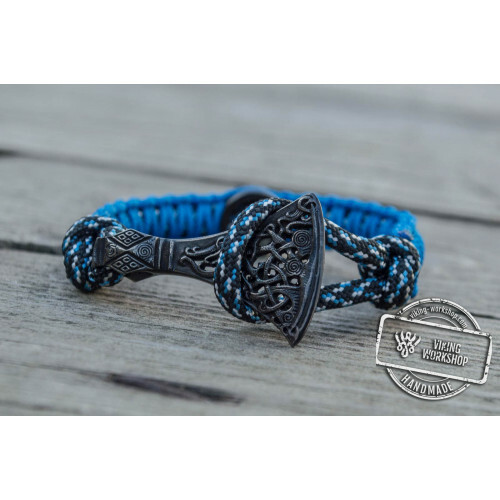 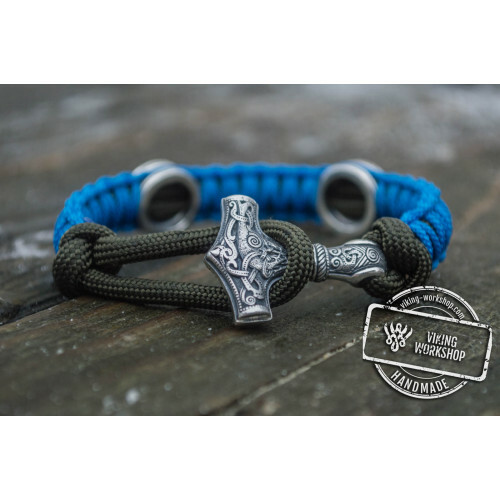 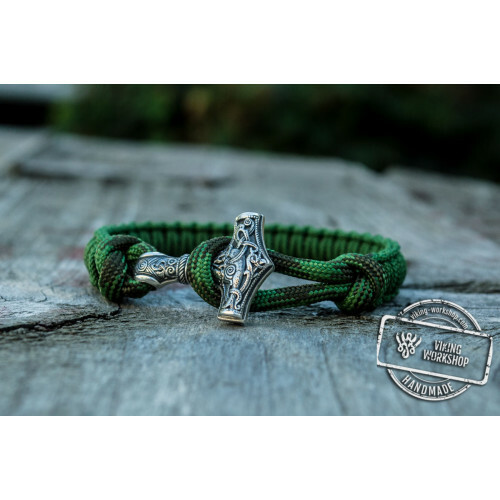 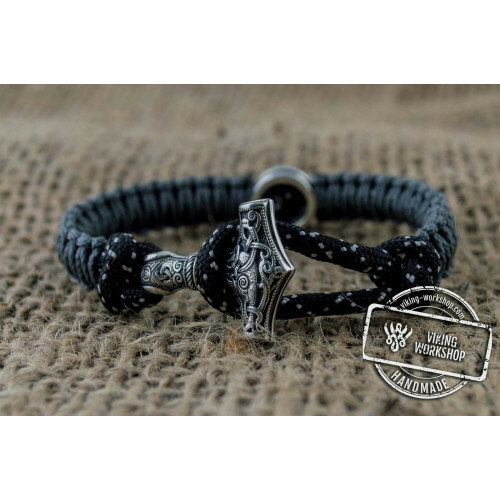 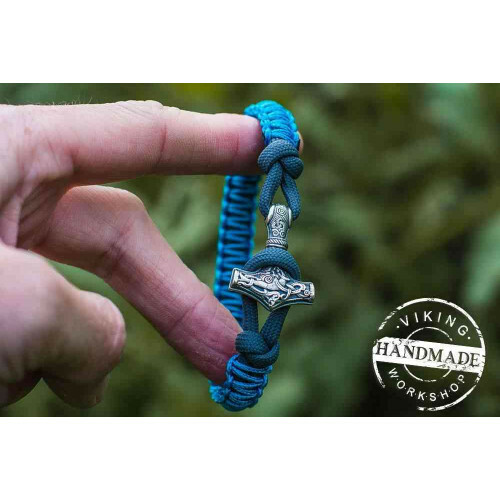 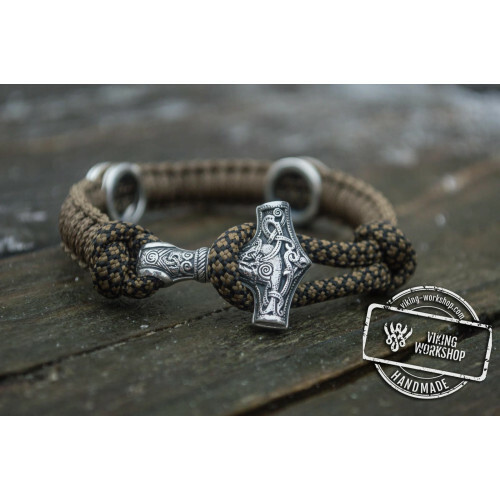 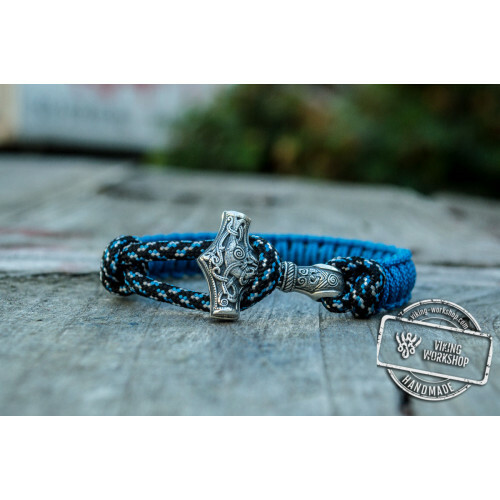 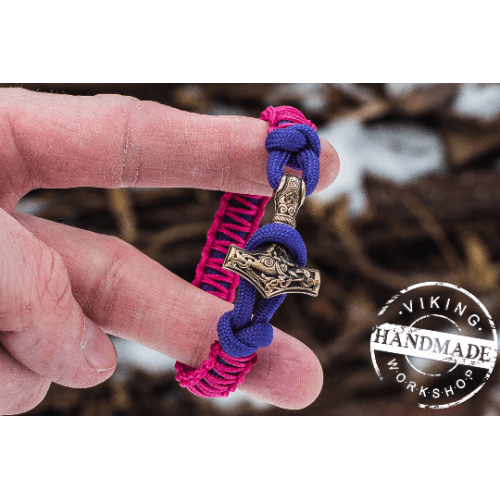 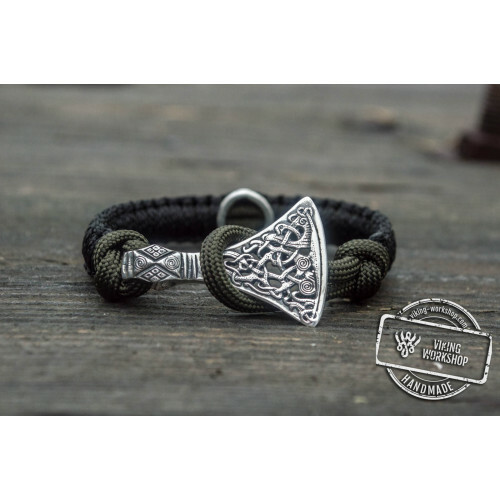 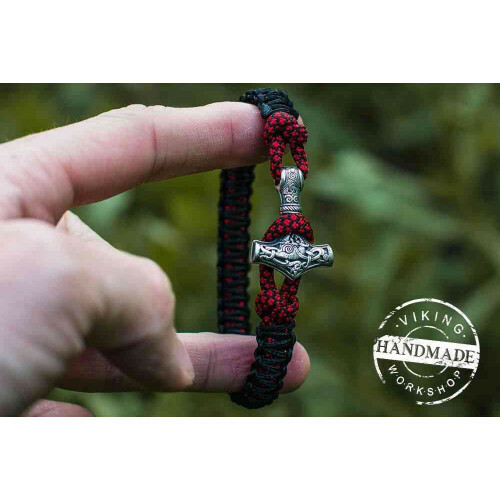 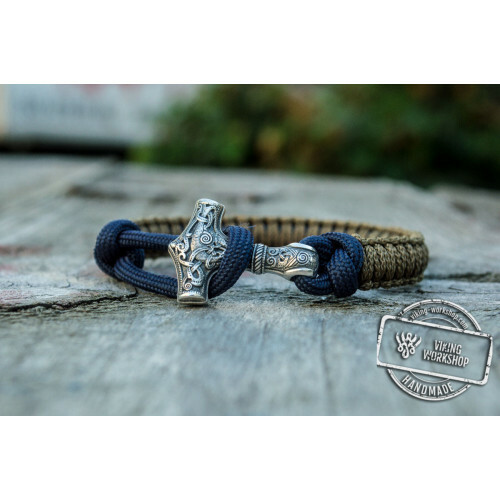 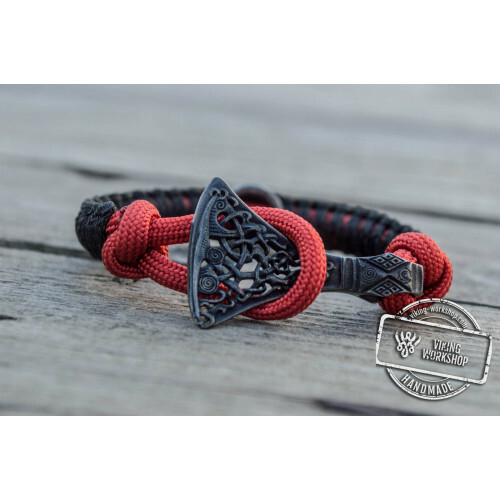 Paracord Bracelet with Silver Plated Mjolnir (Deep Blue + Blue) viking-workshop will help you protect yourself and your loved ones. 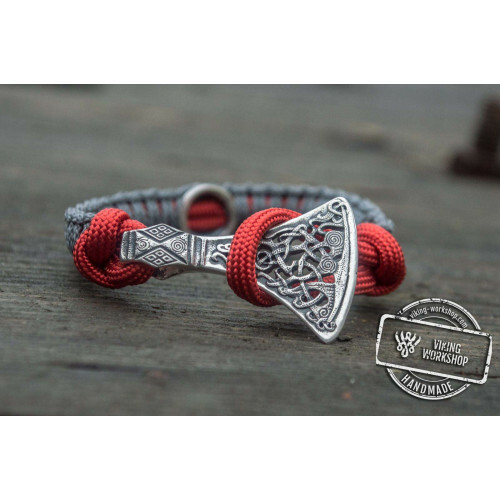 This ornament features a durable lace and the pendant is made of silver-plated bronze. 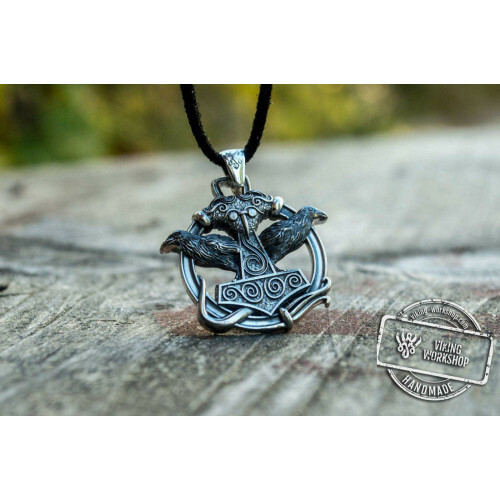 You can also find a pendant in the form of Thor's hammer on our website. 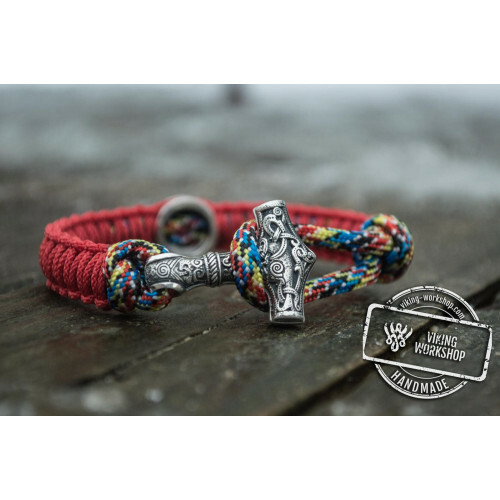 According to legends, the hammer was made by the dwarfs, its grip being very short because of the god Loki’s attempts to prevent its creation. 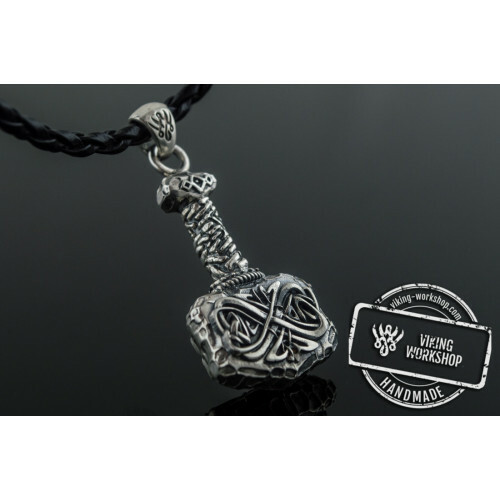 It helped in the battle, as well as had a number of magical properties. 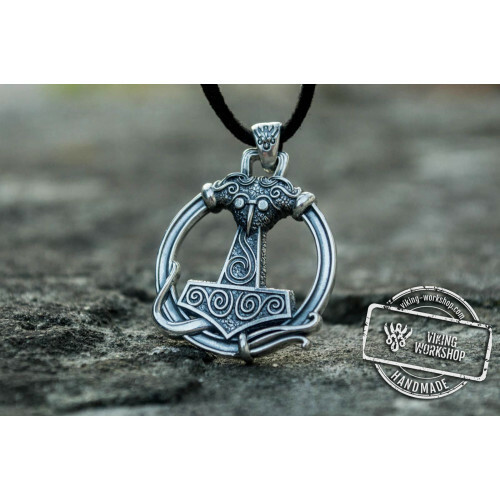 It could bring people back to life, elevated the strength, and returned to its owner after being thrown and dealing a devastating blow. 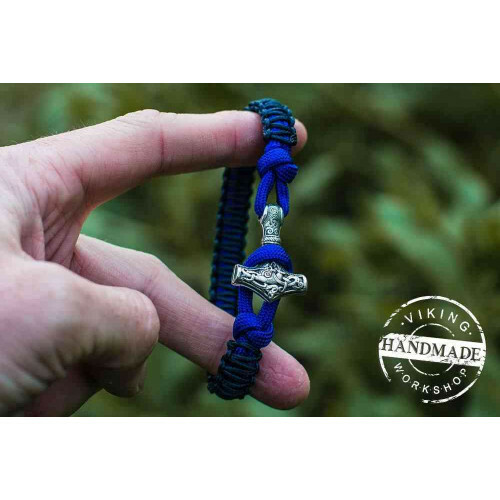 Paracord Bracelet with Silver Plated Mjolnir (Deep Blue + Blue) for sale is always available. 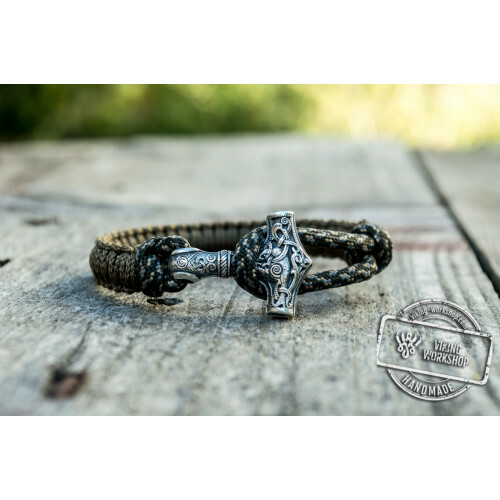 Our expert jewelers will handcraft it in accordance with your sizes. 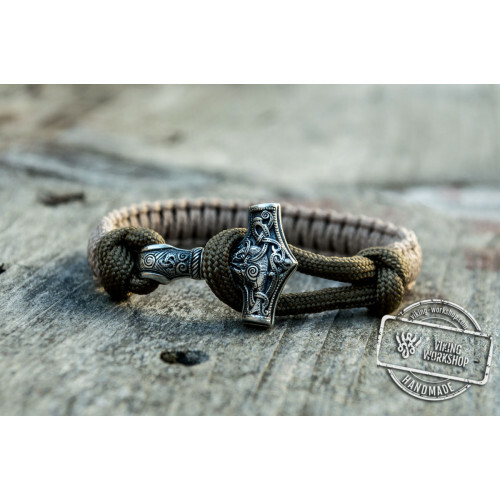 The lace is made of high-quality environmentally friendly materials that will not cause irritation or allergic reactions. 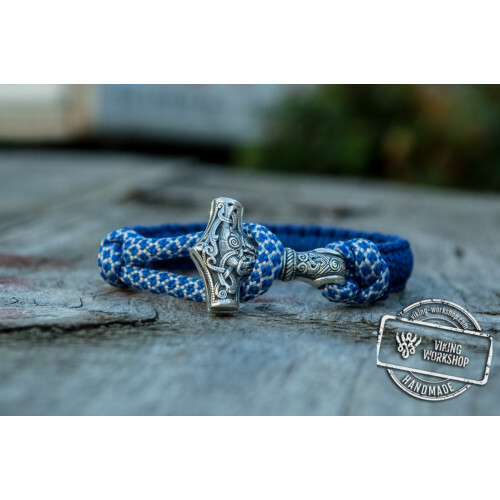 This jewelry will go perfectly with any wardrobe and will accentuate your preferences. 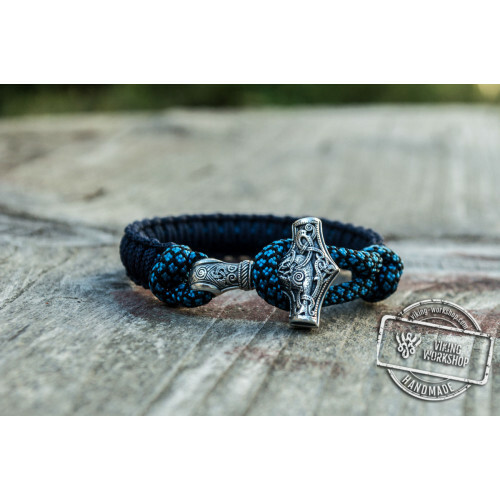 Great combination of blue and deep blue make this product visible and exciting. 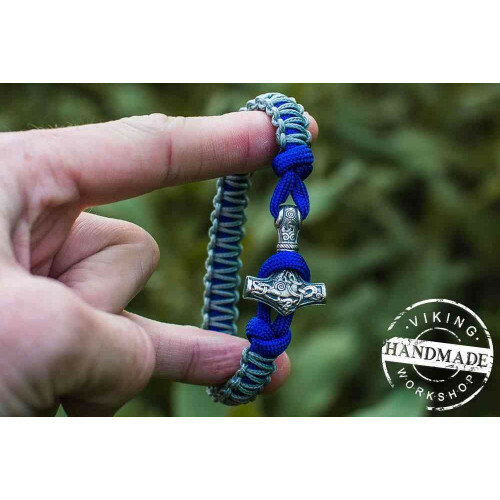 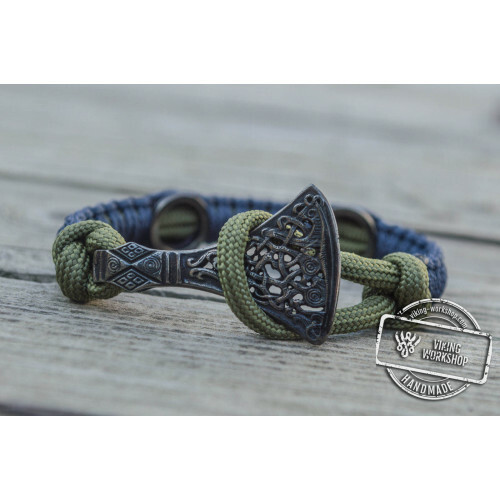 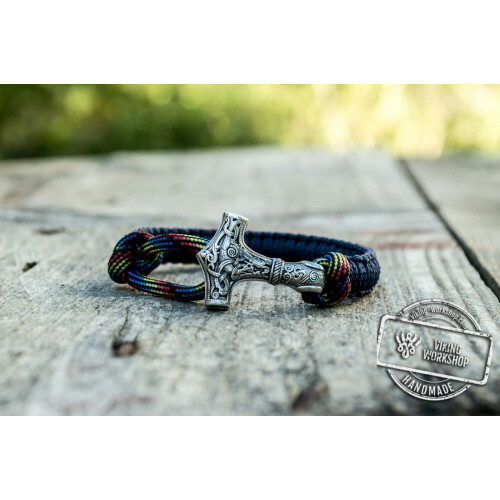 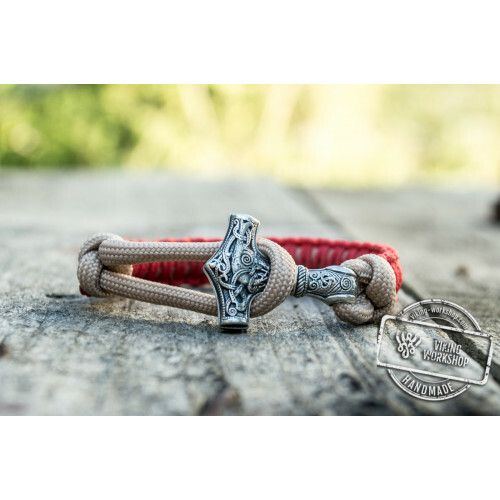 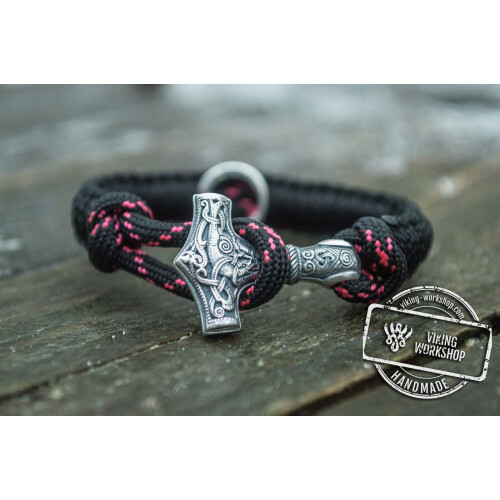 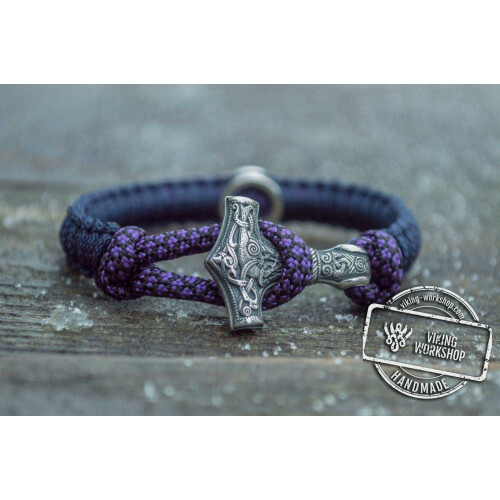 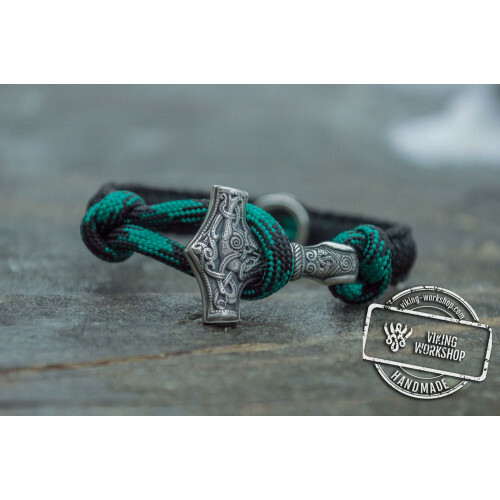 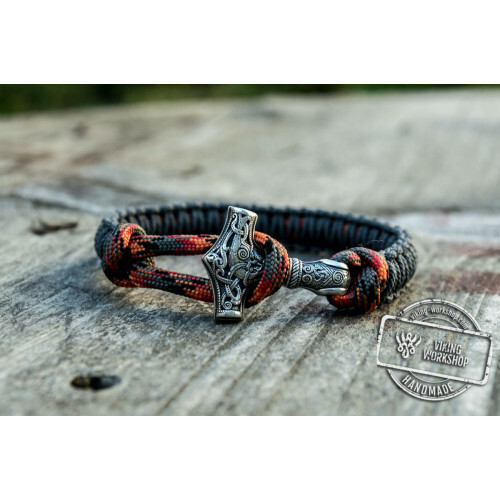 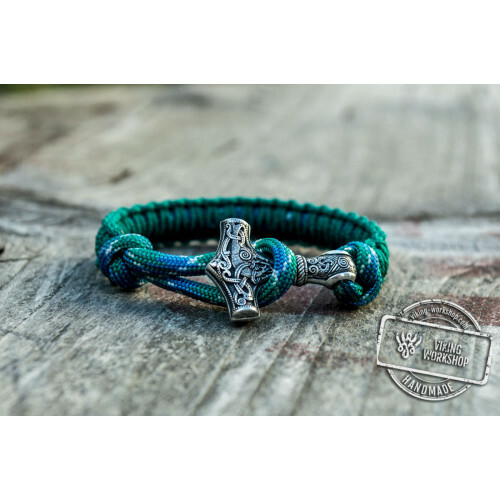 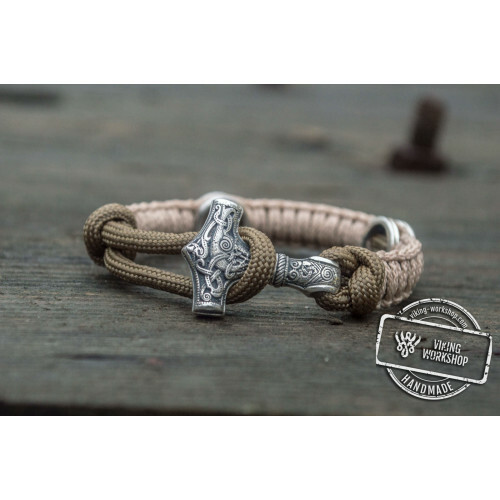 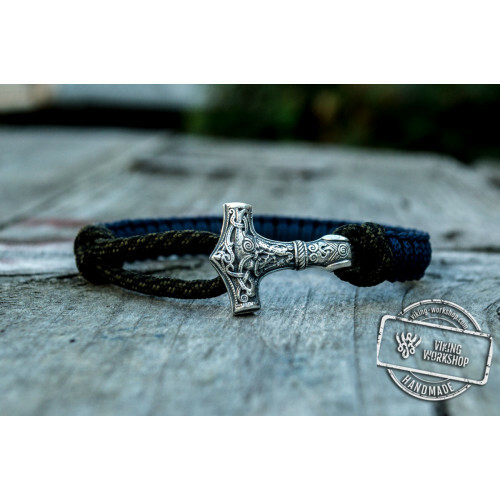 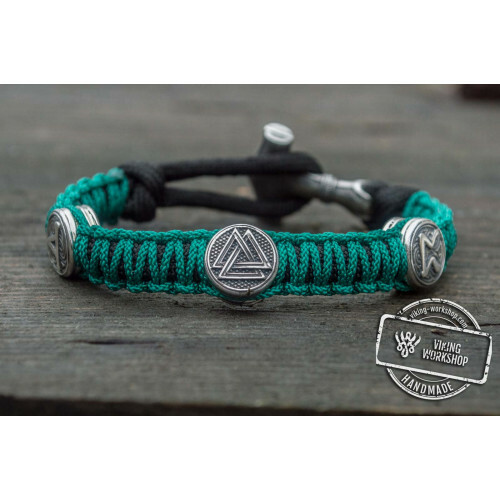 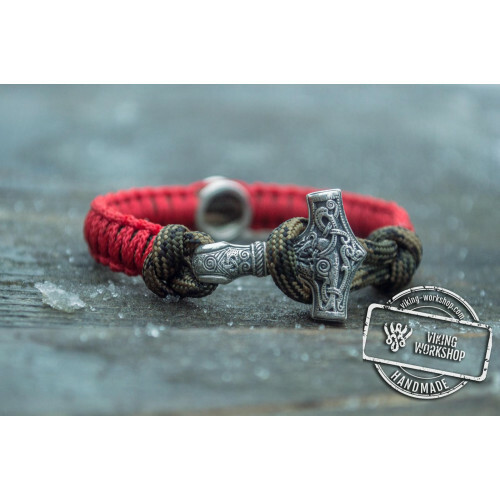 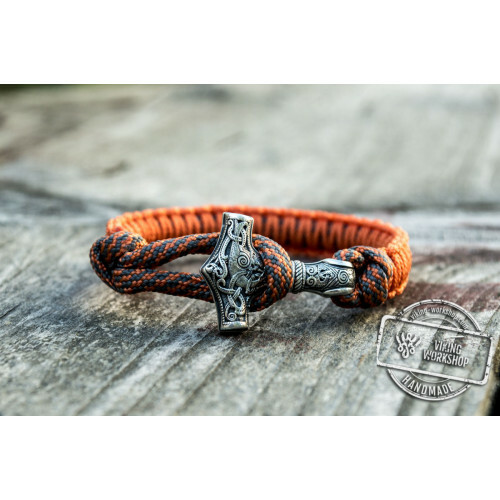 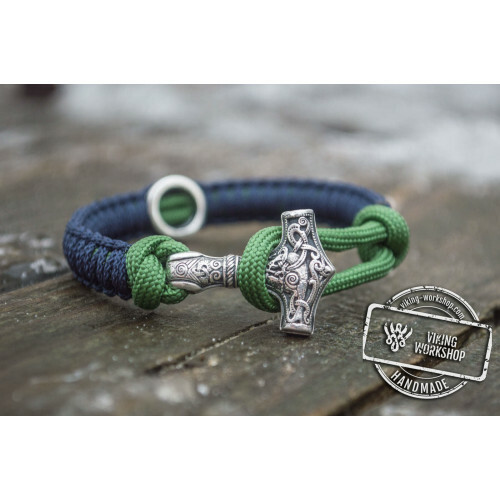 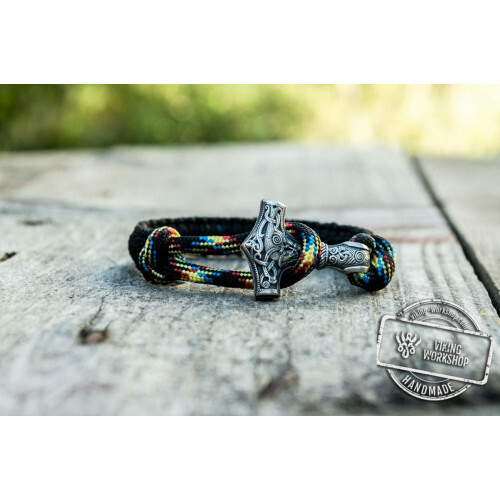 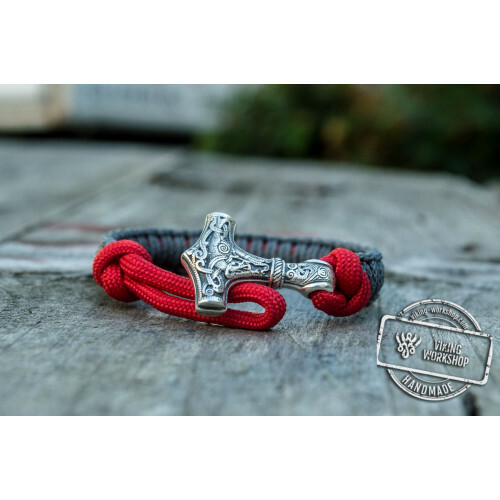 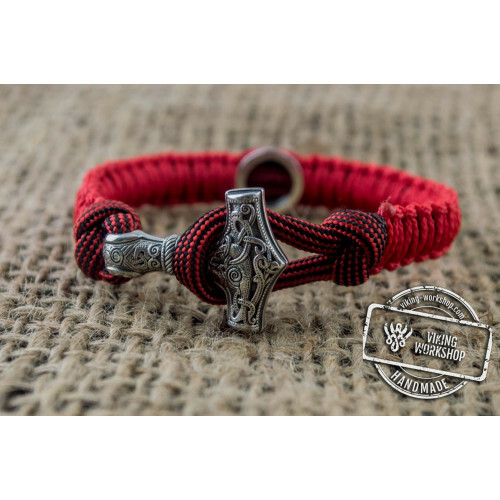 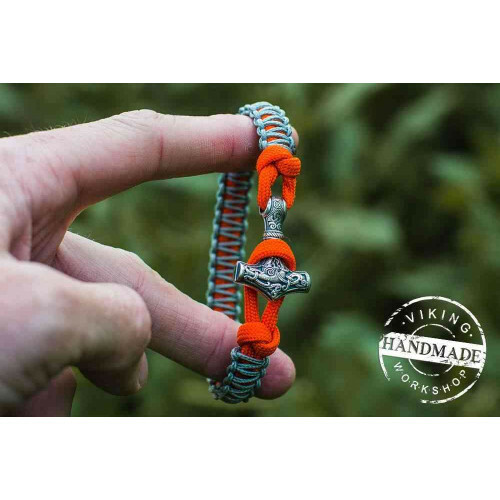 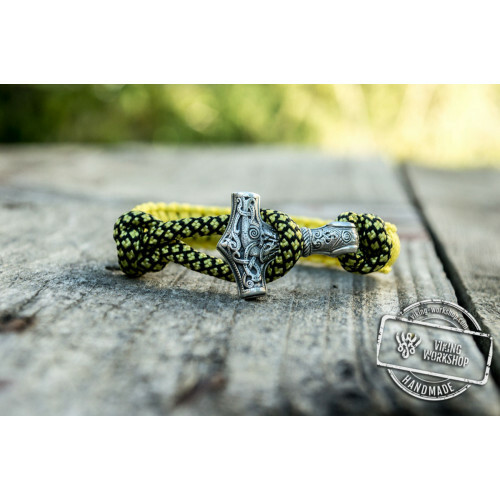 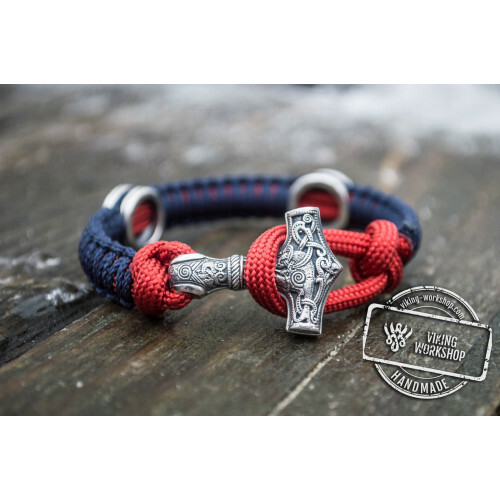 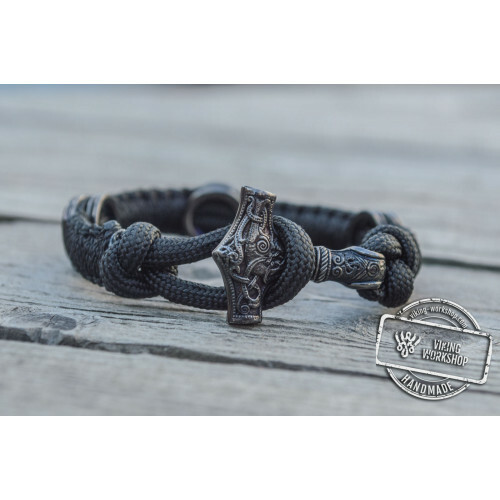 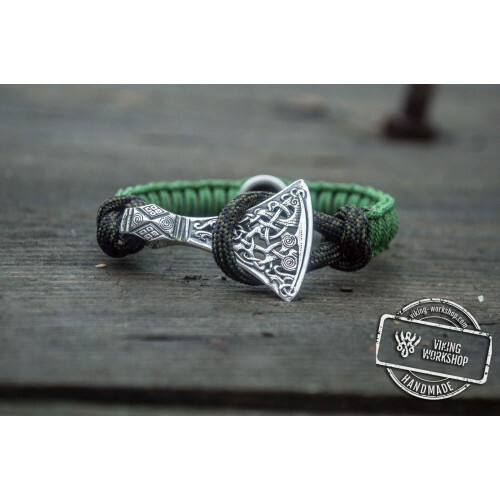 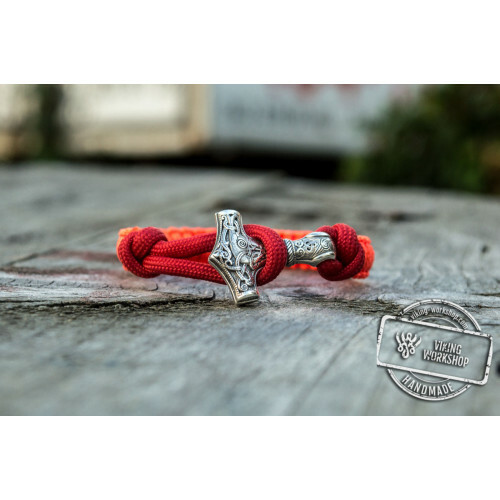 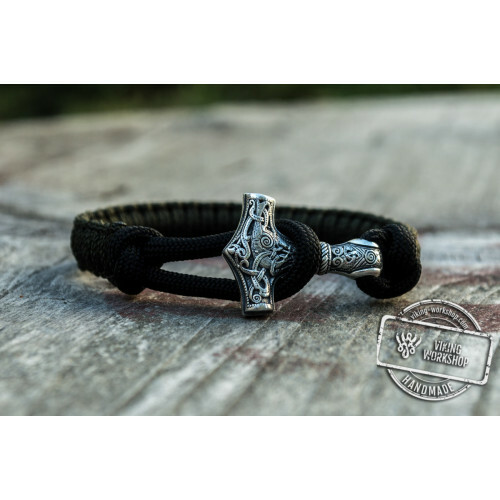 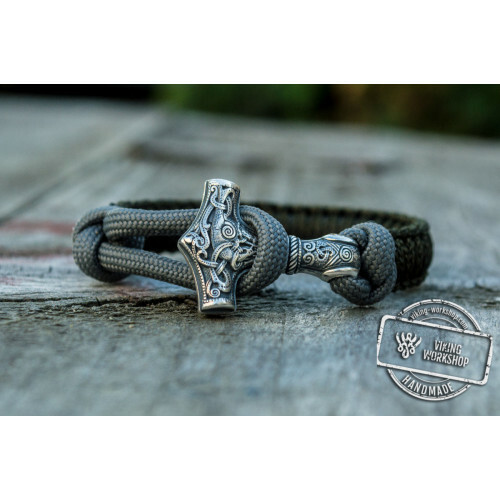 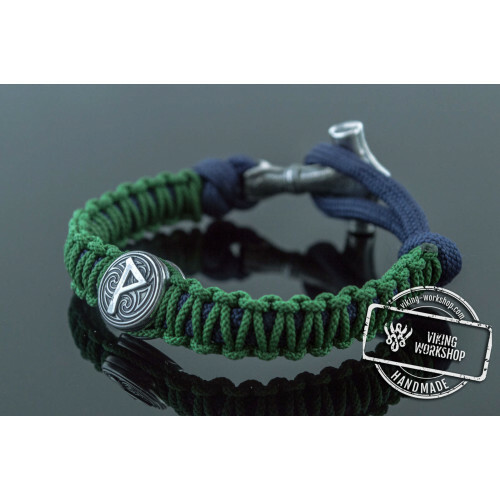 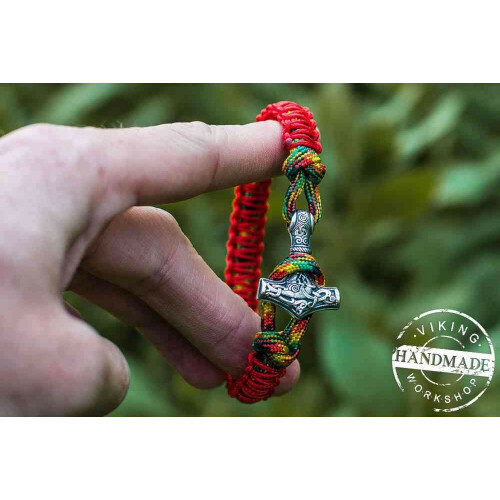 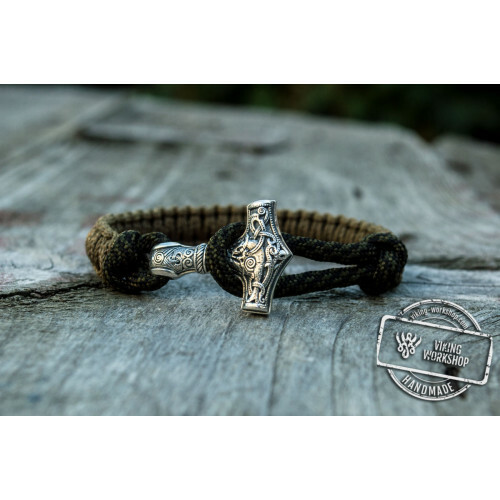 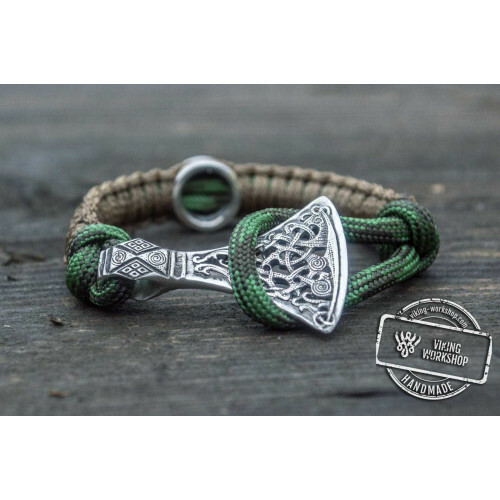 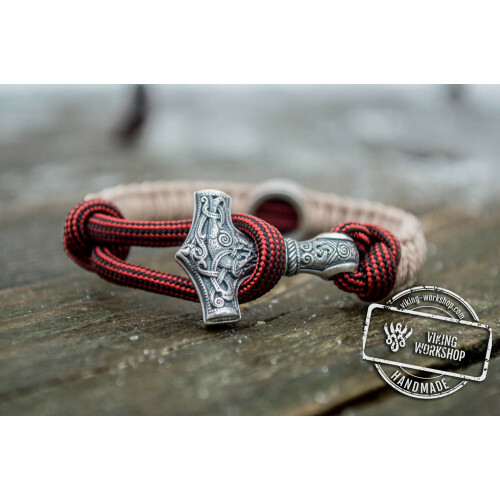 You can order Paracord Bracelet with Silver Plated Mjolnir (Deep Blue + Blue) on our website – all you need to do is fill out a form. 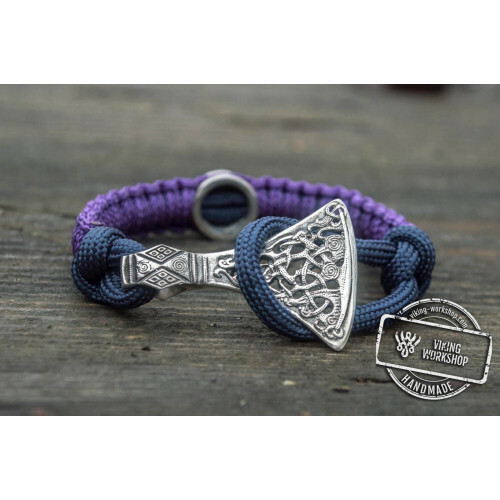 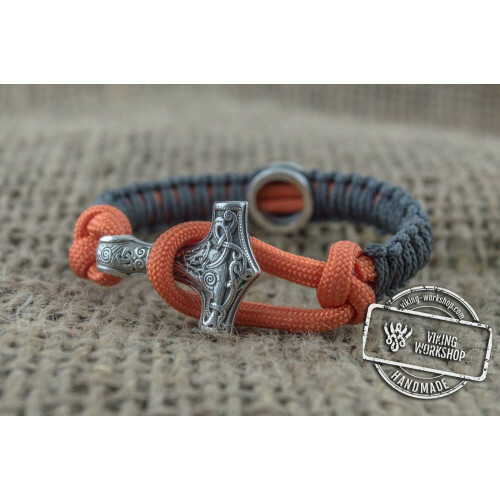 Two interwoven laces securely fix the hammer on the bracelet. 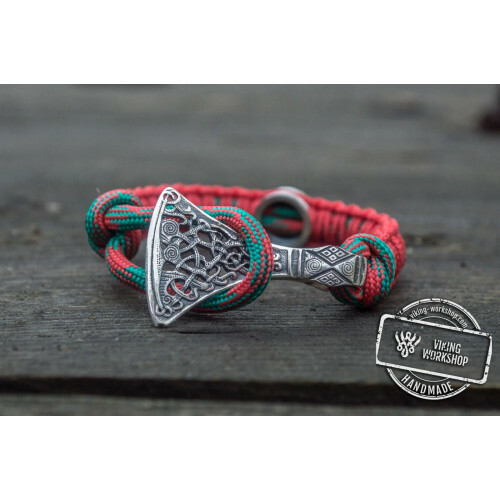 The product is plated with silver coating and does not darken even from contact with water. 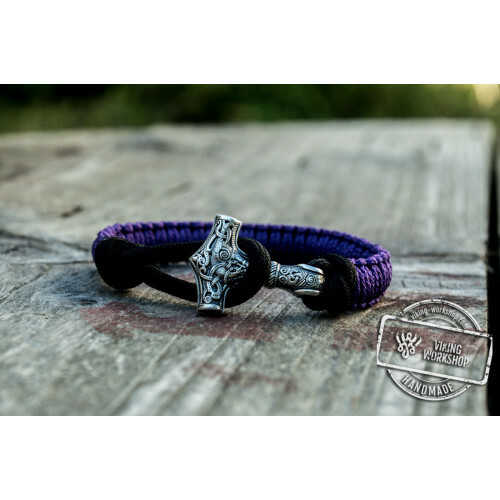 Our website also offers a wide assortment of bracelets for any taste.